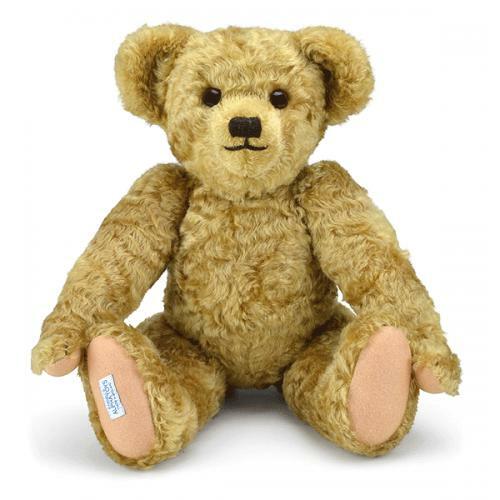 Edward is a simply beautiful replica of the teddy bear who famously inspired AA Milne's Winnie the Pooh stories. Originally created by Farnell in 1921, Edward is brought to life again by Merrythought as the star of major feature film 'Goodbye Christopher Robin'. 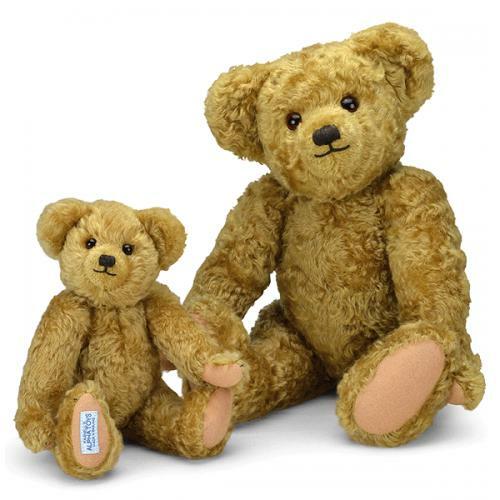 Purchased from Harrods by Daphne Milne for the birthday of her son, Christopher Robin, Edward bear and his owner formed a unique bond and became the best of friends. However, following a trip to London Zoo, the young boy later renamed his bear after the zoo's resident black bear Winnipeg, or Winnie for short. Christopher's father, AA Milne, was enamoured by the wonderful partnership he witnessed between a boy and his teddy bear, and decided to pen stories about their journey through life together. 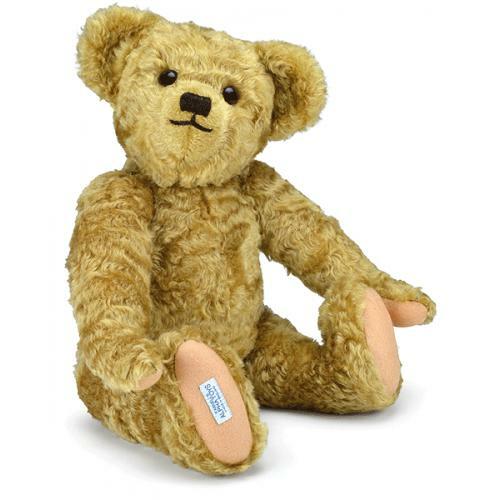 Hand-crafted in England using the same traditional skills and materials as Christopher Robin's original Edward bear, this handsome chap features a rich, antique golden mohair coat and sandy-beige pure woollen felt paws. 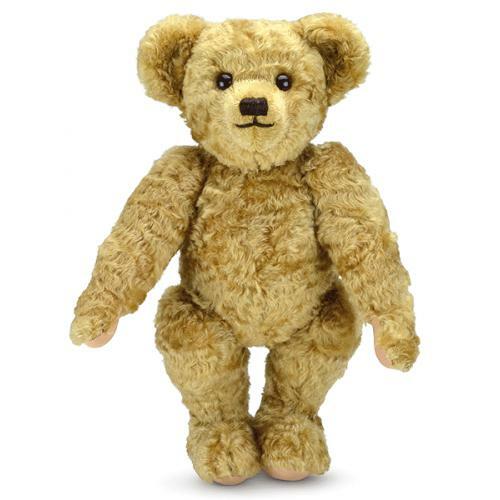 His deep amber eyes show a longing to be loved, which together with a hand-embroidered nose and endearing smile, give him a quintessential charm that can only be found in a teddy bear of such timeless design and heritage. True to the original, Edward also 'growls' when tipped.